When a dramatic event or trauma occurs to a person that fundamentally changes their life or life course, friends and often psychologists will immediately look to what was happening in the person’s life that may have provoked this major change. That’s called looking for context. Over the past 2.5 years, I’ve listened to, read, and watched many pundits and politicians expound on the topic of Brexit, what it means and the reason it came about. Yet not once did I hear any of these ‘experts’ mention the most important aspect of ‘Brexit’: the context in which it came about. The result of Brexit – supposedly a simple vote on whether the UK should leave the EU – has become the farce it is today for one simple reason: the call for the referendum and the vote itself had, essentially, nothing to do with the UK’s membership of the EU. Instead, the referendum was called by British politicians as a direct result of British political maneuvering, with the incumbent (then and now) Conservative party attempting to consolidate its grip on power in the face of an increasingly popular ‘far right’ UK independence movement that was founded on anti-immigrant sentiment and a desire to leave the EU (primarily to control immigration). 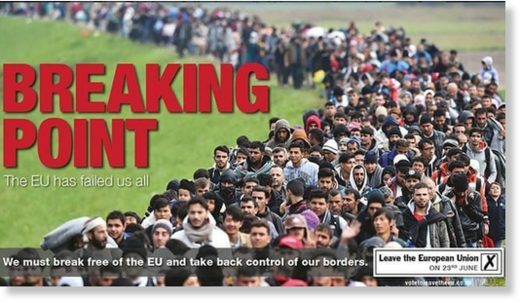 The vote itself by the British people hinged on that same issue: immigration, or more specifically, immigration to the UK from Muslim countries, understood as being facilitated (or mandated) by the EU. 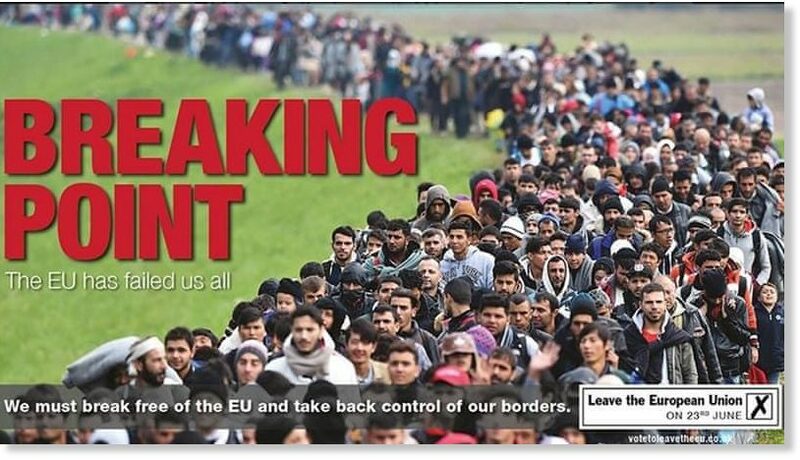 But why was immigration a sufficiently hot topic in the UK to provoke such a political calamity? 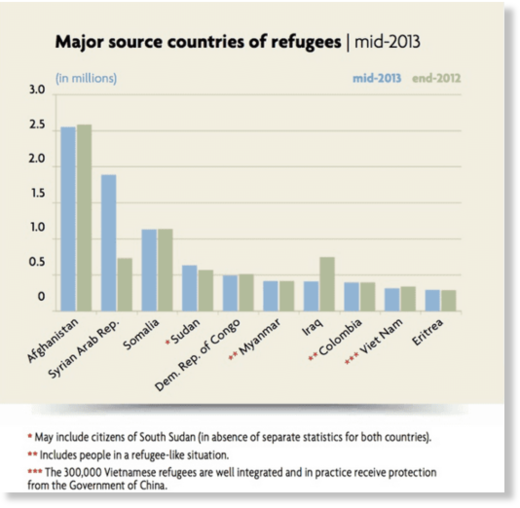 The 2011 NATO bombing and destruction of Libya and the Western-backed jihadist war in Syria aimed at overthrowing the Syrian government for clear geopolitical reasons, produced a spike in the number of refugees arriving in Europe over the following years. This was on top of an existing exodus of refugees from Afghanistan and Iraq, two countries that the USA had been bombing and occupying since 2002/3. By the time the Brexit vote was held in 2016, the US/Western-led ‘war on terror’ was in its 15th year. This is a war that the vast majority of people in Western nations understand as a war on ‘Muslim terror’, for obvious reasons (the 9/11 attacks were carried out by Muslims). 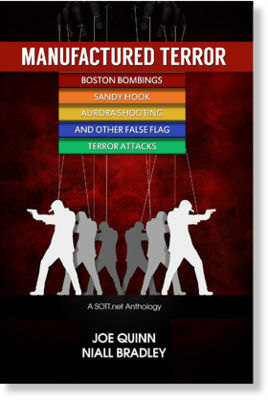 During those 15 years, multiple major ‘Muslim terror attacks’ on European and US soil served to confirm to many people in Western nations that radical Islamists were indeed intent on attacking and killing as many ‘Westerners’ as possible. This perception was dramatically strengthened after 2013/4 when ‘ISIS’ appeared on the public radar with high quality videos of ‘infidels’ being beheaded, burned alive, drowned or thrown off buildings. The Western press, ever dutiful to its job of spooking informing the public, enthusiastically reported on ISIS’ horrific exploits. 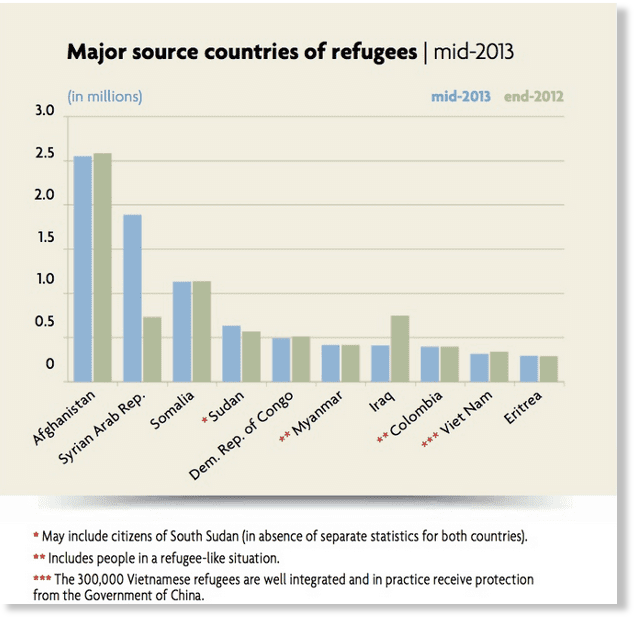 By the end of 2015, the same press was widely reporting that ISIS was smuggling its members among refugees arriving in Europe. As if to prove the truth of this claim, 2015 saw more horrific ‘Muslim terror attacks’ in France, the UK and the USA, with many more high profile ‘terror plots’ foiled in many countries. In addition, almost daily reports streamed in describing ISIS’ ongoing rampage across Syria and Iraq and their plan to establish a ‘caliphate’ that would stretch into Western Europe. So the Western imperialist designs on Middle Eastern and North African countries (including support for the very terrorists the West claimed to be at war with) helped to create both the terror armies that have been carrying out attacks on European soil and the refugee flows that the Western public understands as being used by terror armies to gain access to European countries to carry out the attacks. Strangely enough however, when many people in Western nations responded to this situation with the rational (based on the information they had) demand that immigration be controlled, they were, and are, accused of being Islamophobes, fascists and Nazis. A better and more pernicious example of gaslighting would be hard to find. In the midst of this mayhem and crass manipulation of the public mind, at the May 2012 NATO summit meeting, then UK Prime Minister David Cameron, Foreign Secretary William Hague and Chief of Staff Ed Llewellyn discussed the idea of using a European Union referendum to prevent the growing ‘Eurosceptic’ wing of the Conservative Party from ‘defecting’ to the anti-immigration UK Independence Party (UKIP). In January 2013 Cameron promised that if the Conservatives were to win a parliamentary majority at the 2015 general election, the British government would negotiate more favourable arrangements for continuing British membership of the EU, and then hold a referendum on whether the UK should remain in or leave the EU. Cameron’s fears that UKIP could eventually eclipse the Conservative party if he did not pander to growing anti-immigrant (and therefore anti-EU) sentiment in the UK were well-founded. At the 2014 European Parliament election, UKIP secured more votes and more seats than any other party, the first time a party other than the Conservatives or Labour had topped a nationwide poll in 108 years, leaving the Conservatives in third place. Cameron’s promise of an EU referendum had the desired effect with the Conservatives winning the 2015 general election decisively and enjoying a majority government, after which Cameron reiterated his commitment to holding the referendum before the end of 2017, but only after “negotiating a new settlement for Britain in the EU”. Over the next 12 months however, Cameron was unable to significantly renegotiate the UK’s relationship with the EU (specifically on the topic of controlling immigration of course) and the ‘Brexit’ referendum was held on June 23rd 2016. A leave campaign poster highlighting the ‘main issue’. Interestingly, one week before the referendum was held, a memorable ‘terror attack’ occurred that introduced a new (if latent) element to the horribly confused civil discourse. Thomas Mair, a 52-year-old white nationalist, shot and stabbed the MP Jo Cox outside a surgery in Birstall, West Yorkshire, and severely wounded a passerby who came to her aid. The attack was treated as an act of terrorism, and in sentencing Mair the judge said, “There is no doubt that this murder was done for the purpose of advancing a political, racial and ideological cause namely that of violent white supremacism and exclusive nationalism most associated with Nazism and its modern forms“. Throughout this same year of 2016, ‘Islamic’ terror attacks reached new heights with Germany, for one example, experiencing seven attacks that left 22 people dead. After Cameron resigned, Theresa May was voted in as Conservative Party leader and became Prime Minister. 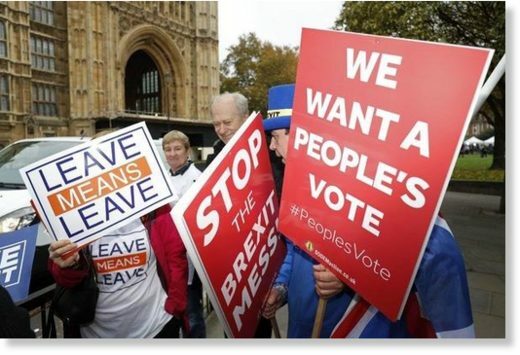 While a supporter of the ‘remain’ campaign herself, she nevertheless took up the Brexit mantle declaring that there would be no second referendum: “the campaign was fought… and the public gave their verdict. There must be no attempts to remain inside the EU, no attempts to rejoin it through the back door… Brexit means Brexit”. 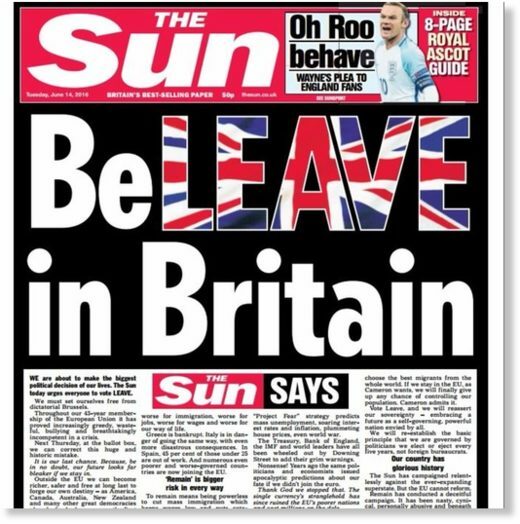 The Conservative tabloid ‘The Sun’ just wanted voters to ‘believe’ in leaving the EU (what could go wrong). Less than a year after assuming office, May believed that she needed to “strengthen her hand” for the Brexit negotiations and called a snap general election in June 2017. This proved to be a very bad idea, because even with the ‘galvanizing effect’ of the Westminster Islamic terror attack on March 22nd where a 52-year-old Islamist drove a car into pedestrians on Westminster Bridge, killing four and injuring almost fifty and then fatally stabbing a police officer, and the Muslim terror bombing at the Ariana Grande concert in Manchester just two weeks before the election – which killed 23 people and injured 169 others, half of them children – May’s Conservative party lost 13 seats, mostly to the Labour Party (which gained 30 seats). This result had more to do with a high overall turnout (the highest since 1997) among ‘remain’ voters and the popularity of the Labour leader Jeremy Corbyn than a reduction in overall support for Brexit. Interestingly, the anti-immigrant party UKIP saw its support wiped out. Job done for the Conservatives. Some might think it a strange twist of fate that British authorities that were complicit in creating the ‘Muslim terror threat’ but in no way wanted the UK to leave the EU were hoisted on their own petard when the British people voted to leave the EU largely because of the ‘Muslim terror threat’. To me, it sounds more like fecklessness and wishful thinking on the part of an increasingly delusional and ‘off the leash’ political elite. This is, in essence, the reason why Brexit is such a farce and why British politicians have spent the last 2.5 years attempting to find a way to convince the British people that they are getting a ‘Brexit’ while keeping the UK in the EU. 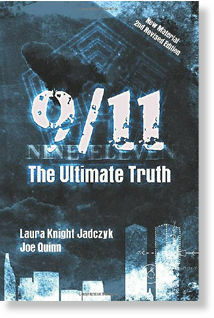 From the very beginning it was based on both the emotional manipulation of the British public and the personal power interests of British politicians. Naturally, no one wants to mention this glaring truth. Currently, British politicians are united on at least one thing: a ‘no deal’ Brexit is NOT an option. Ironically, this is essentially what the majority of British people, in their ignorance and insecurity, thought they could have, and voted for: just ‘leaving’ the EU. Theresa May has a ‘draft withdrawal agreement’ with the EU that does not deliver what a majority of the British people voted for in the referendum: control over immigration. May’s agreement is, in essence, Brexit in name only. Nevertheless, May is planning to bring the agreement to Parliament next month for a vote. If it is voted down, May warns that this would lead to a ‘no deal’ Brexit (the UK simply ‘leaving’ the EU and the likely collapse of the UK economy). But today, May’s work and pensions secretary, Amber Rudd, dared to speak the truth and said that if the agreement is voted down, ‘no Brexit’ at all is more likely. Ironically (or idiotically), this is what the British establishment has been seeking all along. As an example of the extent to which the British establishment is willing to go to ensure that their ‘phony Brexit’ agreement is approved, an article in this week’s Sunday Times, claimed that “Ministers” have discussed a plan to force Parliament’s hand: “No 10’s plan is to encourage a crash in financial markets after losing a first vote in the hope this stampedes MPs into voting for it second time“. Did I mention that ‘Brexit’ is a farce? You have reduced the brexit issue to a single motivation. This is simply not true. The EU has been broadly disliked by most of the UK for many many years for many reasons. The fisheries policy, endless rules and regulations, ridiculous human rights legislation, immigration and the overall loss of soveignty. Your article is based on a strawman and as such is mostly fiction. It is a shame because I do like your writing. I don\’t agree that for a long time a majority of UK citizens have disliked the EU to the point of wanting to leave. Dislike does not equate to them voting to leave. For the leave vote to happen, a major issue had to galvanize the population. 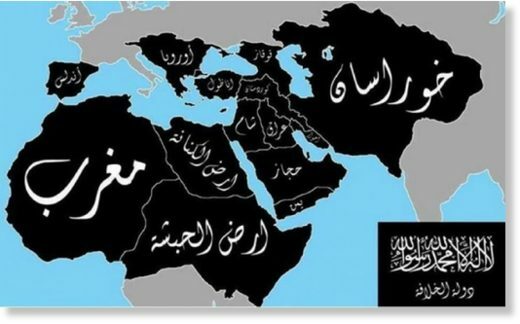 After 17 years of the war on terror where Europeans a) have been traumatized by terror attacks and b) been brought to believe sincerely that Muslims have a tendency to terrorism and c) witnessed the horrors of ISIS and then d) told that mass immigration included ISIS terrorists, all of these were that galvanizing force. So in essence, the big issue that pushed the Brexit vote over the line was indeed immigration and all that it conjures up in the minds of UK citizens.